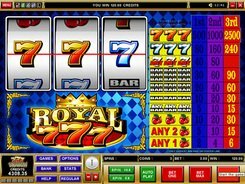 Developed by Microgaming, Royal 7’s is a classic three-reel slot with a single payline. 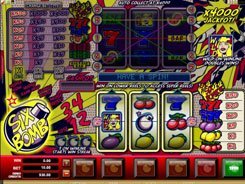 The symbols set includes traditional fruit machines symbols like cherries, bars and sevens. 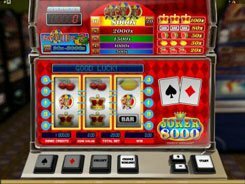 The slot features no wilds, scatters or bonus rounds, yet its simplicity and a classic layout will appeal to three-reel slot aficionados and beginners alike. 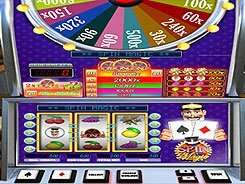 A coin denomination is configured in a range from $0.25 to $5, with up to three coins allowed per line, therefore, a total bet reaches $15 per spin. Cherries pay out the lowest award in the game. 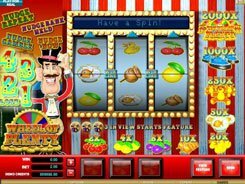 Besides, one cherry or two cherries on the payline still count as a winning combination and award up to 6 coins. 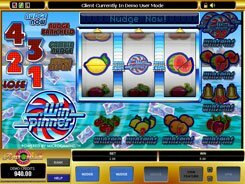 Bar symbols pay out up to 90 coins for three of a kind or for a mix of bars. 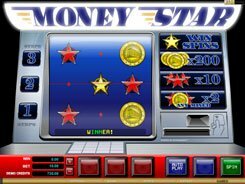 The Orange Seven is the most highly rewarding symbol that produces a fixed jackpot worth $12,500. To take away this prize, you need to place three $5 coins and hit three Orange Sevens on the payline. Besides, Orange Sevens and White Sevens can create mixed combos paying out up to 120 coins. PLAY FOR REAL MONEY!